We specialize in supporting pastors and local churches in developing strong, growing, and vibrant year-round marriage ministries. Marriage Ministry Training Conference 2017! Winning Families is a ministry of the San Antonio Marriage Initiative! Ask a Question! Join our email list! "I am truly challenged to become the husband and father that God would have me be." "You guys saved our marriage." "We are able to come back to the heart of our relationship and understand how we both need to move toward Christ to overcome all the difficulties and struggles we face." "The highlight of the weekend was to be in the same room with people who are striving to better their marriage." "The seminar helped me to understand the commitment of marriage and how we are so different." 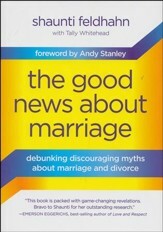 "We are trying to recover from an affair in our marriage and this seminar breathed new life into my commitment. I am 100% committed to making my marriage work, til death parts us." © 2018 Winning Families. All rights reserved. No unauthorized reproduction of any portion of this website.